There did result an approximation of sentiment. Aristobulus, the Jew, declared that the ethics of Aristotle were derived from the Law of Moses; and Philo, after him, attempted to interpret the Pentateuch in accordance with the doctrines of Pythagoras and the Academy. In Josephus, it is said, that, in the book of the Genesis, Moses wrote philosophically - that is, in the figurative style; and the Essenes of Carmel were reproduced in the Therapeutea of Egypt, who, in turn, were declared by Eusebius to be identical with the Christians, though they actually existed long before the Christian Era. Indeed, in its turn, Christianity also was taught at Alexandria, and underwent an analogous metamorphosis. Panteanus, Athenagoras and Clement were thoroughly instructed in the Platonic philosophy, and comprehended its essential unity with the oriental systems. The Eclectics or Philaletheians accepted substantially these doctrines, the principal difference being in names. They taught, like all the old sages, that all beings and things proceeded from the Supreme Deity in series, or discrete degrees of emanation. There are four orders of existence, says Iamblichus - gods, demons, heroes and souls. This theosophy would explain the declaration of Paul, that “all things came out from God”, and that assertion of Jesus, that “the Kingdom of God is within”. It was not an attempt to oppose Christianity, or resuscitate paganism, as Lloyd, Mosheim, Kingsley and others assert; but to extract from all their most valuable treasures, and, not resting there, to make new investigations. Of course there was no avatar. The system, it must be acknowledged, provided for the highest spiritual development. Plutarch says, “The end of the Egyptian rites and mysteries was the knowledge of the One God, who is the Lord of all things, and to be discerned only of the soul. Their theosophy had two meanings - the one holy and symbolical, and the other popular and literal. The figures of animals which abounded in their temples, and which they were supposed to worship, were only so many hieroglyphics to represent the divine qualities.” These mysteries, it will be remarked, are said to have constituted the basis of the Eclectic system. 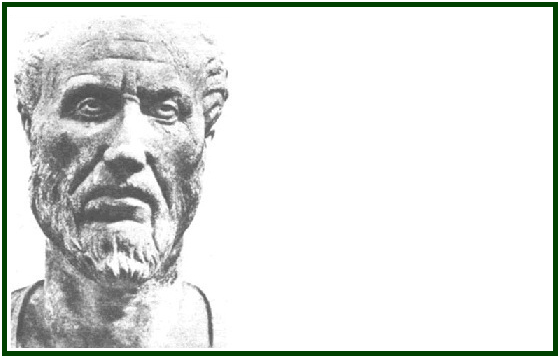 Plotinus also taught that every person has the interior sense or faculty denominated intuitio, or spiritual instinct, which is developed by proper cultivation, and enables to perceive and apprehend actual and absolute fact more perfectly than can be done through the mere exercising of the reasoning powers and outward sensibility. It is a projecting of the consciousness from the subjective into the objective, so that what pertains to the selfhood of the person - what is in the mind and heart - is made to appear as constituting the things which may be seen around him. In this way, dreams are constituted; we see and converse with persons around us, and observe objects and events - all of them being but the creation of our own mind, or the reflection from our mind into a medium analogous to a surrounding mirror. Persons have detected themselves, while awake, seemingly in earnest conversation with an invisible being, but presently perceived that it was only a talking with themselves or a process of ratiocination, which was really subjective, while it seemed to be objective. This is what may be termed spiritual photography. The soul is the camera in which facts and events, future, past, and present, are alike fixed; and the mind becomes conscious of them. Beyond our everyday world of limits, all is as one day or state - the past and future comprised in the present. Probably this is the “great day”, the “last day”, the “day of the Lord”, of the Bible writers - the day into which everyone passes by death or exstasis. Then the soul is freed from the constraint of the body, and its nobler part is united to higher nature and becomes partaker in the wisdom and foreknowledge of the higher beings. The Divine Being is the All, the Source of all existence, the Infinite; and He cannot be known. The universe reveals Him, and subsists by Him. At the beginning, His effulgence went forth everywhere. Eventually He retired within Himself, and so formed around Him a vacant space. Into this He transmitted His first emanation, a Ray, containing in it the generative and conceptive power, and hence the name IE, or Jah. This, in its turn, produced the tikkun, the pattern or idea of form; and in this emanation, which also contained the male and female, or generative and conceptive potencies, were the three primitive forces of Light, Spirit and Life. This Tikkun is united to the Ray, or first emanation, and pervaded by it; and by that union is also in perpetual communication with the infinite source. It is the pattern, the primitive man the Adam Kadmon, the macrocosm of Pythagoras and other philosophers. From it proceeded the Sephiroth - ten emanations, which are not individual existences, but qualities, and names as follows: the Crown, Wisdom, Magnificence, Prudence, Severity, Beauty, Conquest, Glory, Foundation, Dominion. From the ten Sephiroth in turn emanated the four worlds, each proceeding out of the one immediately above it, and the lower one enveloping its superior. These worlds become less pure as they descend in the scale, the lowest in all being the material world. But there is nothing purely material; all subsist through God; the Ray, His first emanation, penetrating through all creations, being the life of life; therefore all is divine. The first world, Aziluth, is peopled by the purest emanations; the second, Beriah, by a lower order, the servants of the former; the third, Jezirah, by the cherubim and seraphim, the Elohim and B’ni Elohim. The fourth world, Asiah, is inhabited by the Klipputh, of whom Belial is chief. The human soul derives its elements from the four worlds: spiritual life, intellect, the passions, and corporeal appetites. A conflict having arisen between the inhabitants of the fourth world, Asiah, and the higher emanations, evil and disorder have thereby come to exist. Mankind having sinned in their first parent, from whose soul every human soul is an emanation, they are exiled into material bodies to expiate that sin and become proficient in goodness. They will continue to be born in new bodies, one after another, till they become sufficiently pure to enter a higher form of existence. This was called the anastasis, or continued existence; also, changes of the soul.